Over spring break we ventured to the far corners of the universe (Waco, Texas) to perform for the women’s basketball team at the NCAA Tournament. 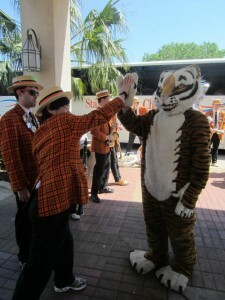 Unfortunately, the team found itself outmatched by Florida State University in the first round of matches. But we did get to learn about cow statues and the history of Dr. Pepper. 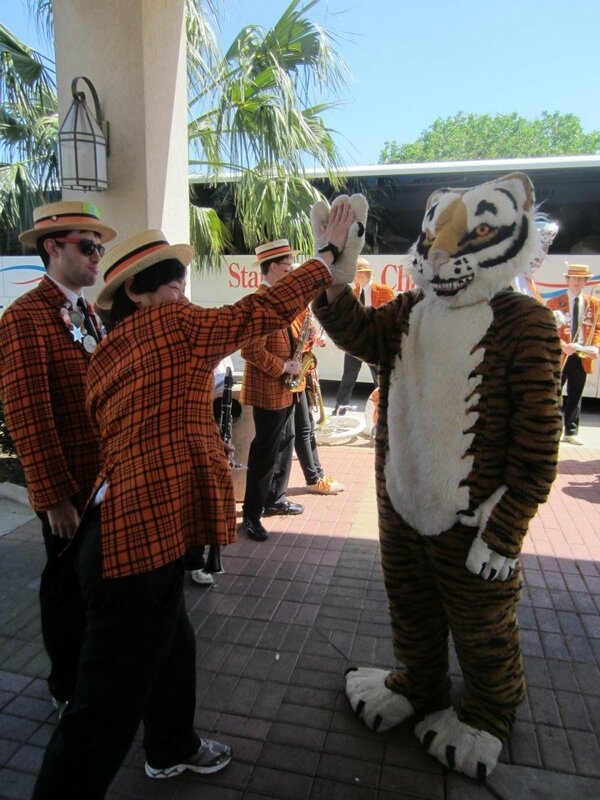 Matt Walsh ’15 high-fiving the Tiger himself at NCAAs! 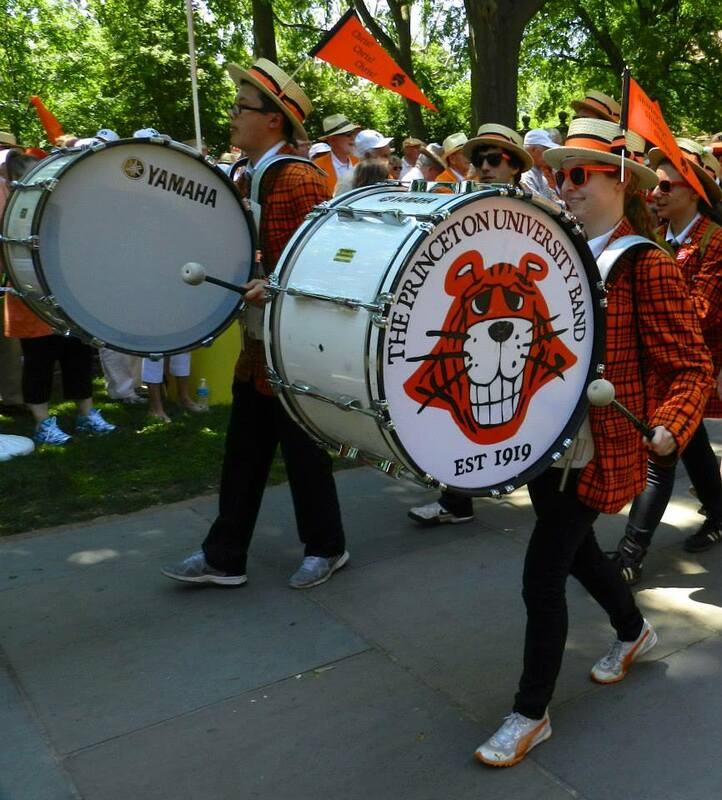 Reunions certainly was exciting for the Princeton Band, which performed at various reunion tents, the annual Fred Fox ’39 concert, and eventually led the alumni across campus (multiple times!) for the P-Rade, the only parade in which the other participants may out-orange and out-spirit us. One of the most bittersweet moments of Reunions was saying farewell and “See you at next year’s Reunions” to this year’s Band seniors, members of the Class of 2013. 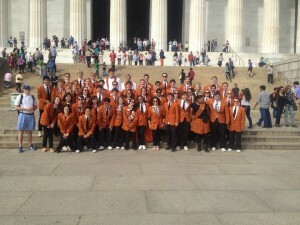 The Band thanks you all for your outstanding spirit and dedication! They sure are great at football down in Princeton town! 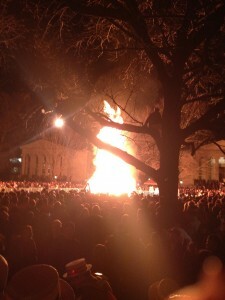 This year’s football season won Princeton both a share of the Ivy League Title and, for the second year in a row, breathtaking victories over Harvard and Yale earned us another Bonfire to warm us up on one of the coldest nights of the year. For more details about the season, please see this year’s football post, “2013: A Football Season in Review”. Warming ourselves by the glow of the bonfire. 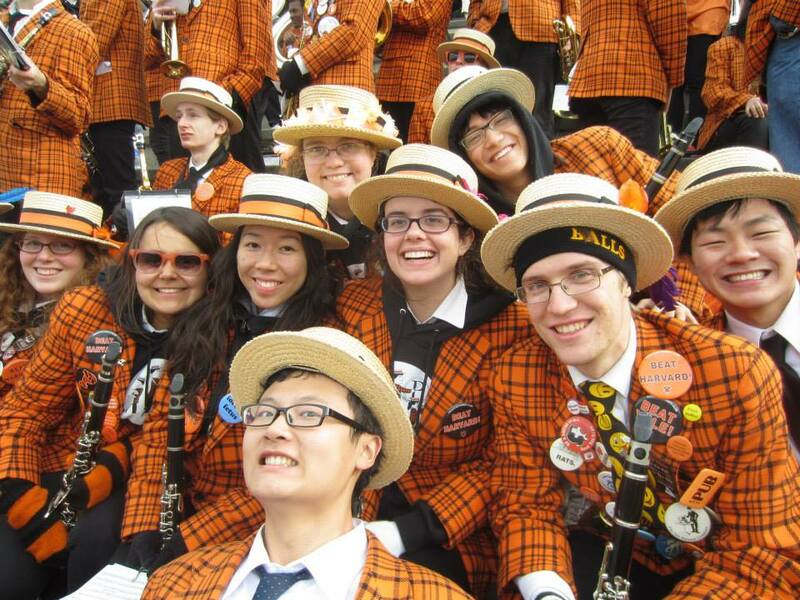 After being canceled because of the damage done by Hurricane Sandy last fall, the Greenwich Village Halloween Parade made its way through the streets of New York and included an appropriately orange-and-black-clad Princeton Band. 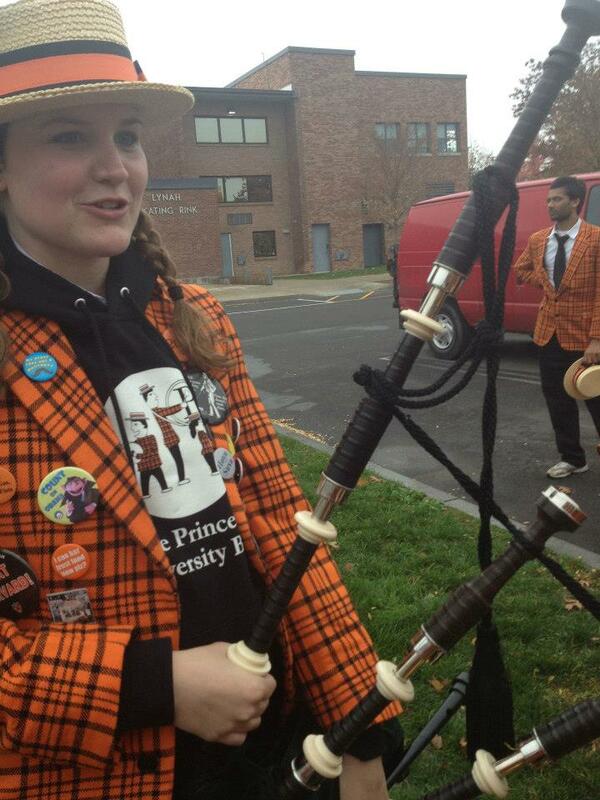 Colorful costumes, dance-offs with other bands, and energetic onlookers made this event a real (trick or) treat! 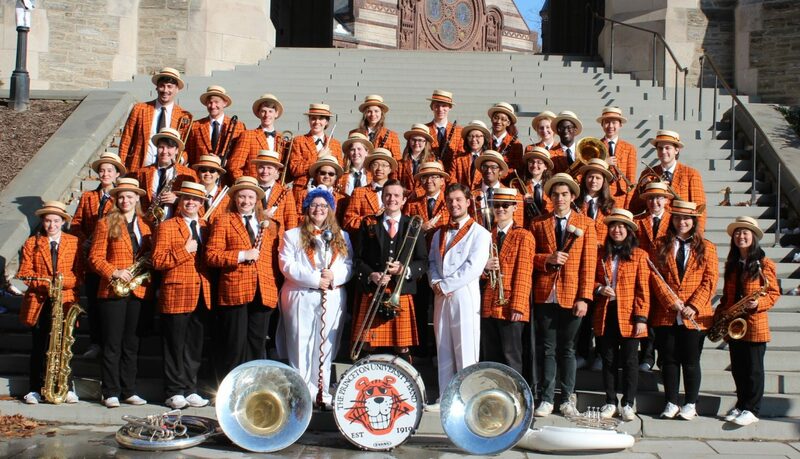 As per tradition, the Band celebrated the end of football season with a fancy-dress Bandquet in Prospect House. I’d provide photographic proof, but what happens at Bandquet stays at Bandquet. The Band spread some holiday cheer this December with our campus-wide Caroling and subsequent holiday party in Campus Club. A little rain couldn’t put a damper on the winter spirit of the Band, although it may have dampened the libe’s Holiday Packets. 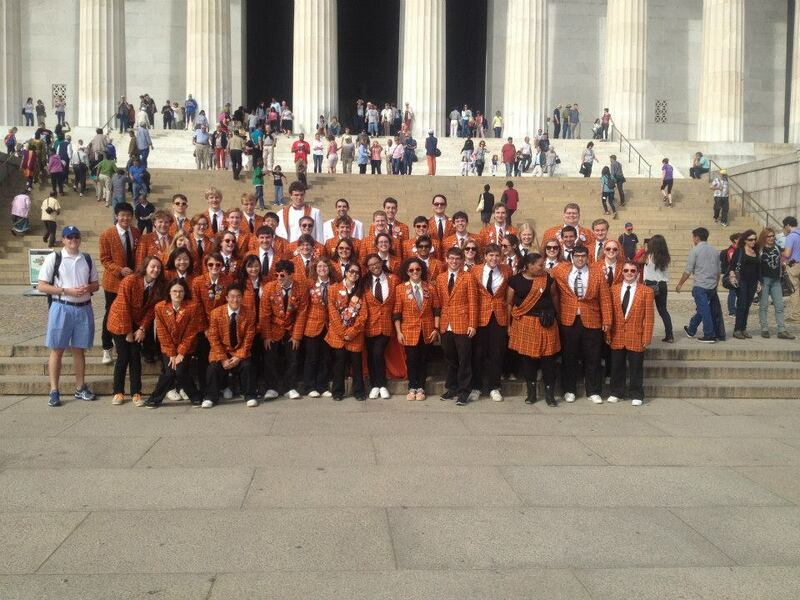 It’s been a fantastic year, Band. 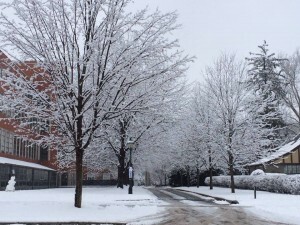 The one good thing about the end of this semester? The equally fantastic one ahead! See you in 2014! Previous PostPrevious Welcome to Waco!